The opening scene of Sally Potter’s movie, The Tango Lesson is imprinted in my mind as the best depiction of the dreaded “writer’s block”. Potter sits down to write and stares at the deadly white page. The white page stares back at her. She writes the first syllable with such force that the tip of her pencil breaks. She sharpens the pencil and sits back to write. She can’t focus: the table in the almost empty London flat trembles slightly as the underground rumbles past; the noise of the traffic is now a serious distraction. She stands up to turn off a leaking tap. The leaking won’t stop. She calls the plumber. They haggle about the price of the repairs. The white page is still staring at her reproachfully. Sally Potter decides to take a break, goes to Paris, falls in love with the tango and the tango dancer, Pablo Verón. The dance lessons continue in Buenos Aires: Sally Potter accepts the man’s lead while dancing, but keeps the upper hand while filming. The relationship is doomed, but the picture and Sally Potter’s tango skills triumph. One can only assume that the writer’s block was broken since the screenplay must have gotten written up to shoot this delightful movie, an ode to Argentinian tango and the obsessive pursuit of perfection. Why would anyone choose to write a PhD unless it was a matter of professional life and death, and an academic requirement that will define the career path and job opportunities of a young researcher for decades to come? I am very lucky that I do not have this pressure anymore; even when I might have been inclined, I thought I’d much prefer writing a third MA rather than a first PhD. And I can see how my young colleagues, especially non-native speaker teachers, are struggling with both their research and their writing. For them “outsourcing the language part” (we are in the business of ELT) is not really an option, since they are working in an additional language, and that language is the subject of their investigation. My interest in academic writing and publishing led me to looking for professional help. I surveyed the available PhD writing guides and ended up coming across the same authors again and again. 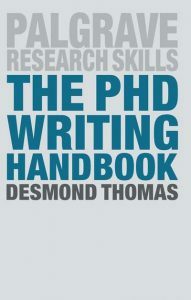 The PhD Writing Handbook seemed to fit the bill of what I was looking for. Well-written, well-structured, and as well-organized as a PhD thesis should be with writing as an essential activity in each and every stage. I read the book in stages and found a lot of new elements in each chapter: the alternative models of PhDs seem to be highly relevant in my context (Ecuador), as less experienced researchers are likely to prefer the kind of guided approach that goes with structured input regarding research methods. Right from the beginning, I liked the vignettes and the action points, because the first emphasized the personal experience, while the latter expected the reader to act on the reading, namely, start writing. What appealed to me a lot was the idea that writing is more than summarizing the thoughts you have at any one point in time. Writing is actually a way of thinking, because it makes you clarify your thoughts, whether you do it in a bullet-pointed manner or as a spider gram. The handbook begins with a general overview of the stages of PhD research and writing: firstly, how you find a significant, yet specific topic that is manageable within the given timeframe. I could particularly relate to how one has to manage their research reading: I am often absorbed by reading extensively and then delving into some detail and only coming up for air in the last minute. Even though my daughter says I am killing the rain forest by printing out far too much, I always have the odd article that disappears without any trace with only a lingering thought left behind – surely a problem with not leaving tracks or footprints so that I could return to the piece of text that I would deem essential later on. And now on to some comments regarding the rest of the chapters. Critical reading is an essential skill to develop, even though the local literary tradition in Ecuador, at least in the case of MAs, is more like listing down and paying homage to the authors and the research that has been carried out in one’s field. As a result, the literature review is often anodyne and poorly structured. 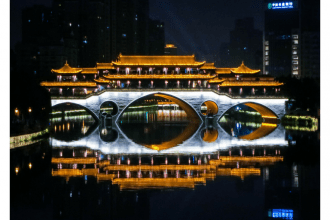 Exploring key concepts is, once again, often no more than a compulsory exercise in citing dictionary definitions of the words included in the thesis title. Creating a structured chapter framework then feels like having won half the battle; the hierarchical structure forces one to consider carefully the levels of detail. I often find that assigning fairly strict word counts to specific sections of my own writing helps to keep parts of the content in balance. It’s a good exercise in discipline and contributes greatly to a feeling of satisfaction when you accomplish a piece of writing. Productive writing routines may have as much to do with personal traits and psychology as with authorship. I found it reassuring that elements like when one is at their peak in a daily cycle can be as important as the space one creates for writing. Halfway through the book we get to the more writing-focussed side of affairs: the three C’s kick in, as the expectation is to write clearly, concisely and coherently. No small feat for the L2 writer, even though native speakers also find it difficult to write to a high academic level; some would even claim that non-native speakers have more practice in academic writing than novice authors whose first language is English. 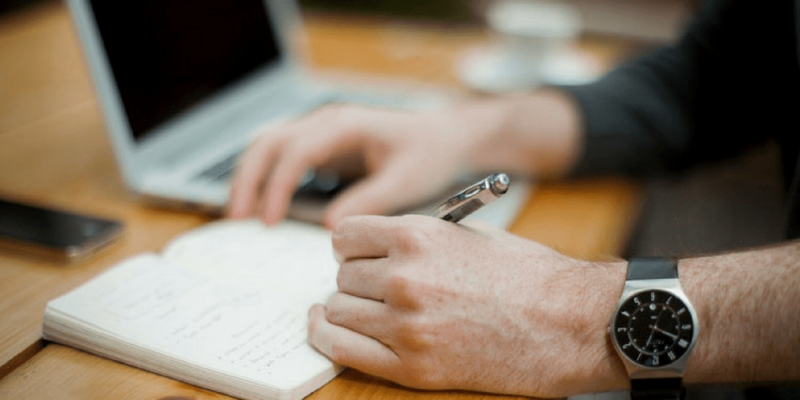 I tend to believe that writing is difficult for both, but the well-spoken and well-educated native speaker may enjoy some advantage with the speed and an awareness of the pragmatic force of their writing. I truly admire ELT authors who have their erudite and even idiosyncratic writing style. I marvel at their ease with which they express themselves succinctly and use their personal flair. It is quite true that, as PhD supervisors, they sometimes do not feel it is their task to pass on this skill to their students: either because they don’t think it is their task or they assume that it is not a teachable point and will only come about through apprenticeship. What motivates you when you don’t feel like writing at all? was the question asked of someone on the Internet the other day. “Deadlines”, came the laconic answer. And this is when we get back to the point of “writer’s block” and how one might attempt to overcome that paralyzing feeling when your writing (and even your research) does not seem to make sense to you anymore. The analysis is precise and the tips are both numerous and helpful. We are now two-thirds into the book, and at the stage of reporting and analysing our findings. Completing our PhD, and preparing for the viva are the final steps; the expectation is that by now we are ready (or, at least, prepared) to write throughout our academic career. As for the handbook itself, useful websites, templates and ample references bring the task to a satisfying close. It’s too late now for me to toy with the idea of writing a PhD. But had I wanted to write one in the past 15 years I would have liked this book to sit on my nightstand.